Week three in the Big Brother Hillwalking Rehabilitation Programme House. Following the two and a half hour Meikle Bin dauner, and the four and a half walk up Ben Venue, the stakes were raised somewhat with a nine hour sojourn to climb Scotland's sixth highest mountain. Which only involved three hours of actual walking. So I managed no bother. Too windy for successful photography as it turned out - I have a plethora of blurry pictures of dugs if anyone's interested though. where is all this snow we've been promised?!?!?! Heh, heh - on looking back through the blog archive, I see that by the 29th of November last year I was complaining that I was sick of the snow already. At least you can SEE the dog. The only time I’ve been up there I couldn’t see anything. In fact, I’m not sure that I actually got there. 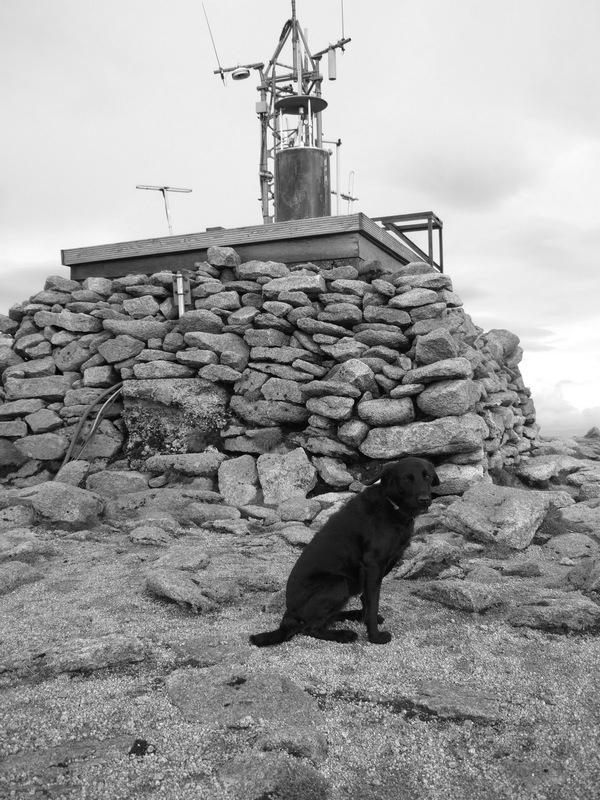 I can identify with that Alen - in fact, I've been meaning for the last few days to put up a wee post about my last trip to Cairn Gorm, five years ago, which really didn't go quite as smoothly.